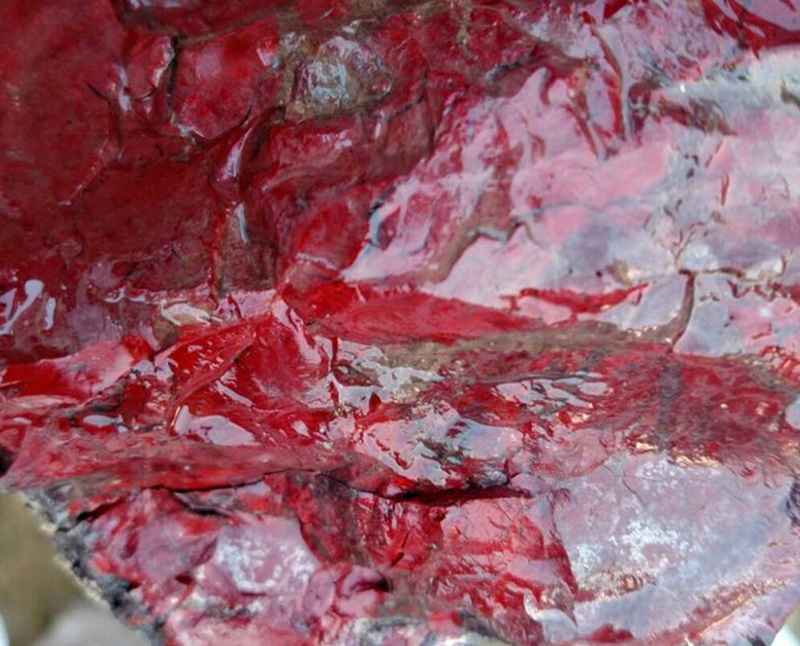 A fine-grained mixture of dickite/kaolinite/alunite and quartz, with varying amounts of red cinnabar, giving it typical bright red to purple shades. One of the most highly prized ornamental materials in China, especially for use in elaborate carvings and seals. In Chinese tradition, the color red is symbolic of good luck, so the cinnabar in the stone is believed to protect people from evil and to bring good luck and fortune. 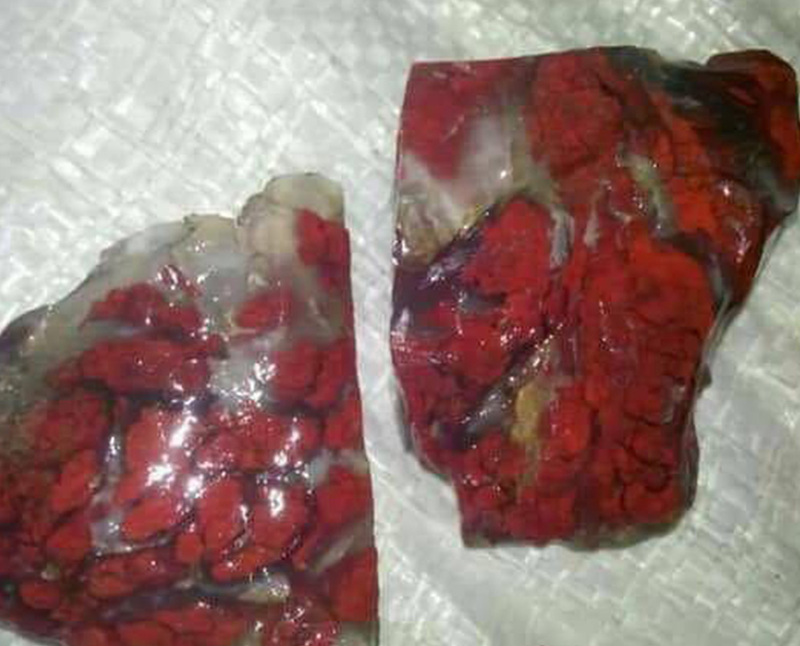 Chicken blood stone is seen as more powerful than jade, which is also considered capable of protecting people from evil. 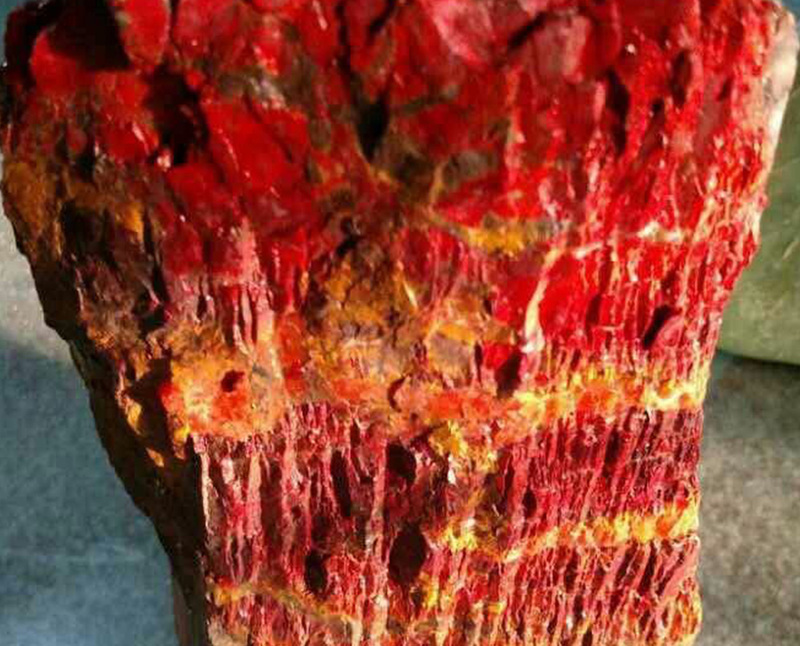 We have our own mine and can provide large quantity of this semi-precious and rare stone.